If you're like me, as in you have no clue what your CPT results are, I have good news for you! 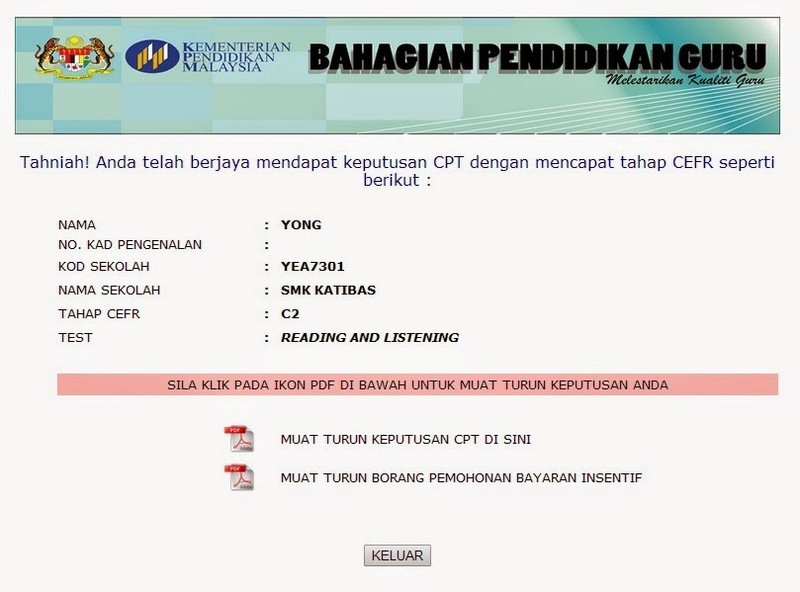 You can now check if you've got C1 or C2 here (http://apps.moe.gov.my/abpg/cpt/)!! If you've got a A1-B2, your name will not appear in the list on the site. This website was released early this week & already on the very day itself, this jungle teacher has received more than 5 notifications about it! BEFORE 8AM!!! Talk about an affective & efficient cascading model for the dissemination of knowledge amongst education professionals! I've even had a strange lady spam my FB page for me to reveal my results! Thankfully, I removed the unsightly posts & will satisfy her curiosity here tonight! They waited 2 years for this. Those who got A1-B2 are probably still in the dark. Sorry, guys. There are monetary incentives involved! And a BIG ONE!!! with a Band of C1 or C2. appointed before 1 January 2015.
who teach the English language at school (primary & secondary). It's not given away just like that, you have to apply for it! Download this form. Fill it truthfully & completely. Include your current teaching timetable & your CPT results as per this site. Hand it to your Ketua Jabatan for approval. PTJ will cc to PPD who will then cc to JPN. For more info, check out the FAQ. Now that you've seen my results, you want a present right? I've got a present for you! A big one! Follow this link!! It's a puzzle. If you're smart, you'll figure it out & solve it. Then, you'll get a big reward yourself! 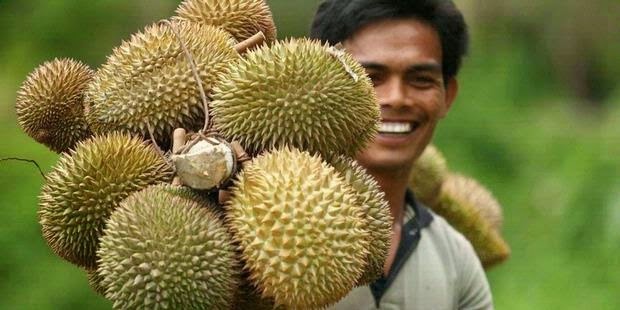 Liulian runtuh ah! I'm glad I did well in my CPT. If my TOEFL results are any indication, I should be right up there. I'm just glad I won't be involved in ProELT which will take up too much of my time. I'd love to learn from the consultants with British Council but I'd rather spend my precious time on activities, programmes & innovations for the betterment of my students. I'm stuck at school for 24 hours a day, 300 days a year. What else would I be doing, right? For those of you who got C2, congratulations!!! Invest the money wisely. Don't be selfish. Do share a little with other teachers. For those of you who got C1, it's worth it to try for the extra money. For the rest of you, you've got until the end of 2016. You can do it! For those of you who were left out, sorry guys. I'm sure your rezeki will come sooner or later. Be thankful for what you already have. Remember, we are here to serve our students & make them into better people than we will ever be. This incentive is just the icing on top of a big cake of intrinsic satisfaction.